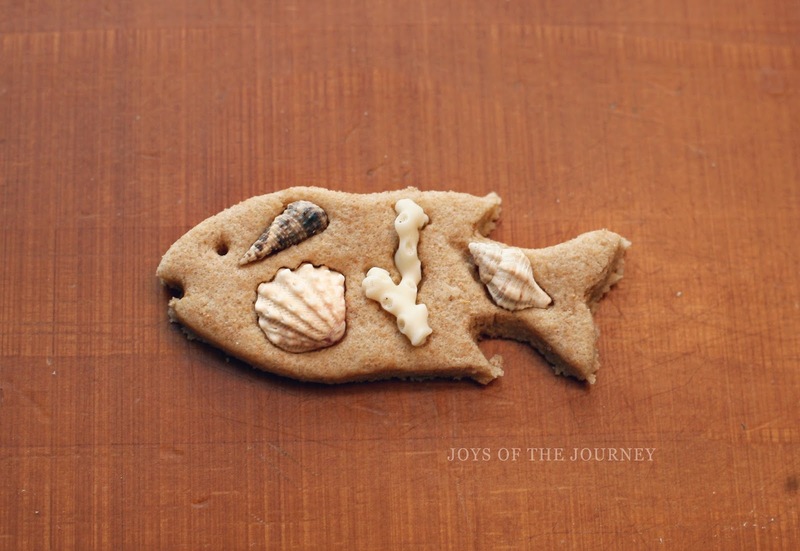 After we made the salt dough, he cut the fish shape out with his playdough cutter and picked out the shells from our beach trip that he wanted to use. He positioned them where he wanted them to go and pushed them down into place. I made sure the shells were squished in good so the dough would bake around them so they wouldn't fall out. Bake them at 200 degrees until they harden up. It only took about an hour for the fish to harden since they weren't that big. When they cooled off, I hot glued a magnet on the back and now we have some cute new magnets for our fridge that reminds us of our fun time at the beach! My little guy had fun playing with the fish, too, pretending they were swimming in the ocean! This craft was super fun for my preschooler! These turned out really pretty! 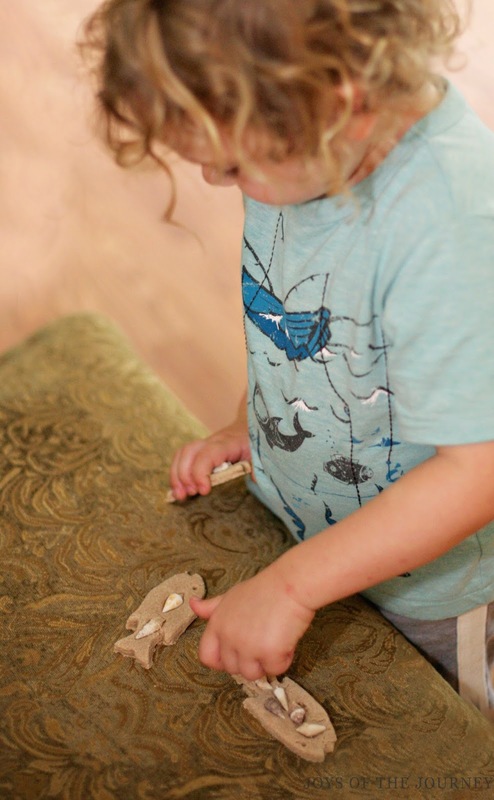 Thanks for linking up at the Hands-On Play Party! Love this idea! Thanks so much for sharing on We Made That Wednesday! 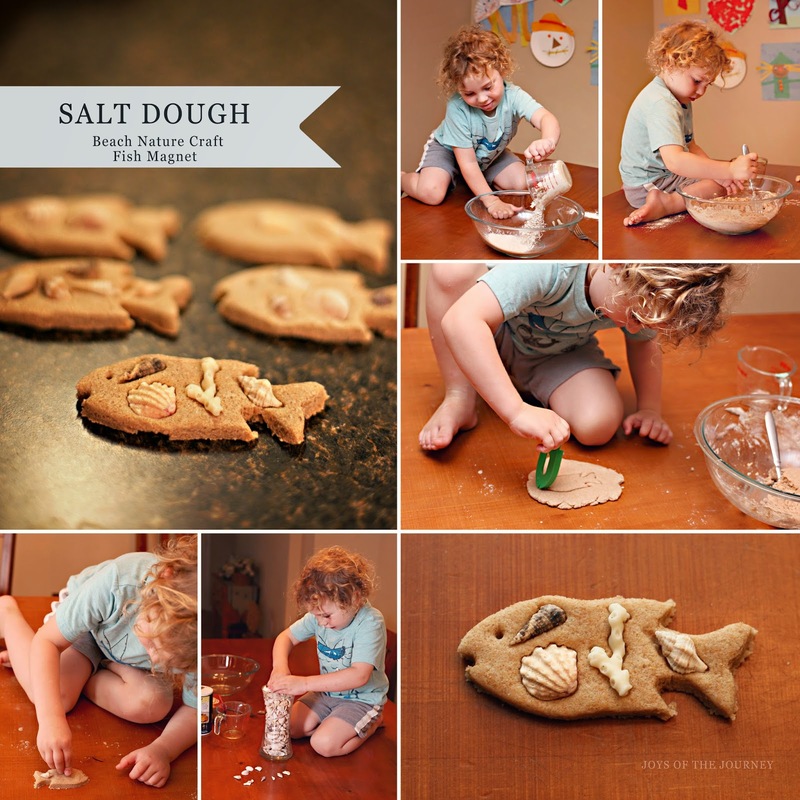 I see a salt dough play day in my kids near future!